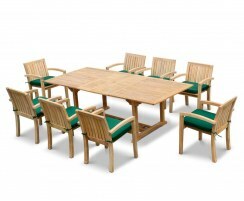 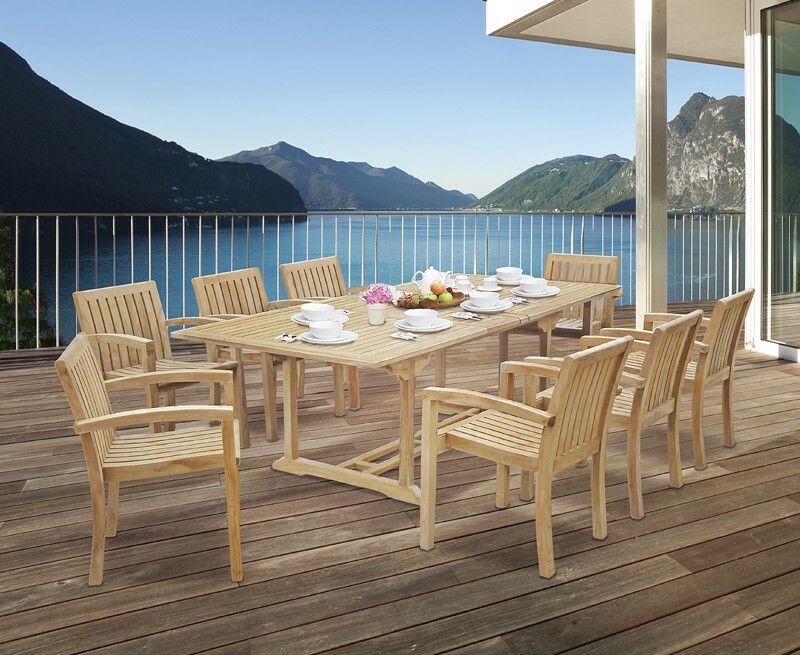 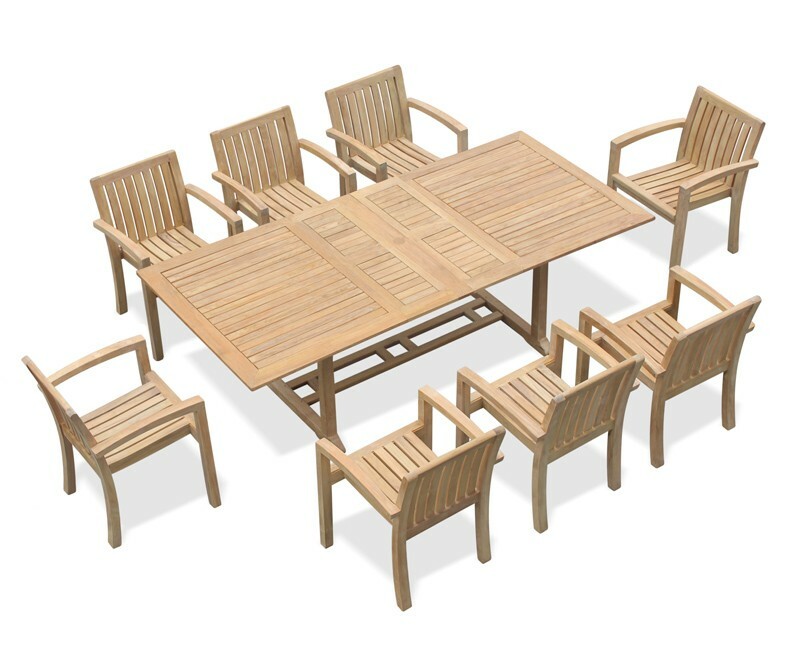 Our stunning teak garden furniture set features our Dorchester extending table and smart Monaco stacking chairs, perfect for any garden or patio and is sure to invigorate your setting. 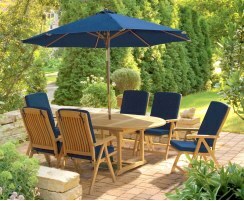 Create an inviting focal point for your setting that offers numerous options for alfresco dining and entertainment. 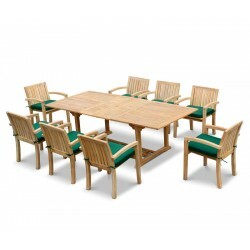 Our luxury Dorchester dining table and chairs set has been robustly crafted from sustainable grade-A teak for superior quality and durability. 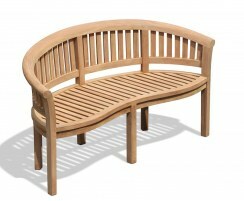 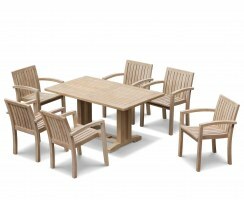 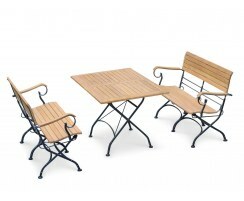 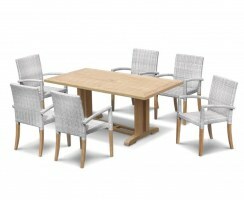 This stunning garden furniture set can be left outdoors all year round, no matter the weather. 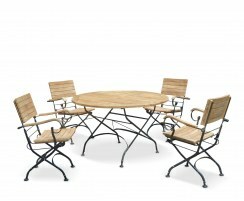 This garden dining set only requires minimal maintenance, and if left untreated, will turn to a beautiful silvery-grey patina. 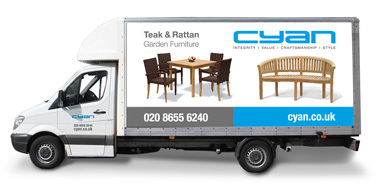 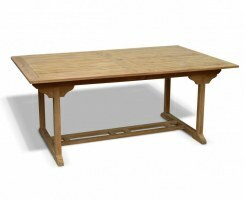 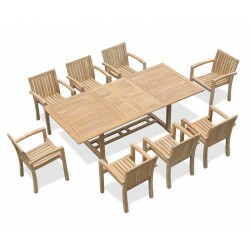 The rectangular garden table can be extended to comfortably seat up to ten people, and the extension leaves can be stored neatly under the tabletop when not required. 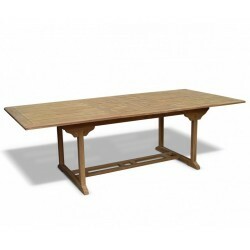 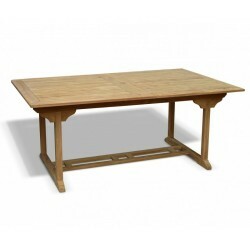 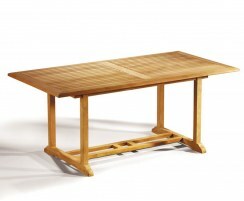 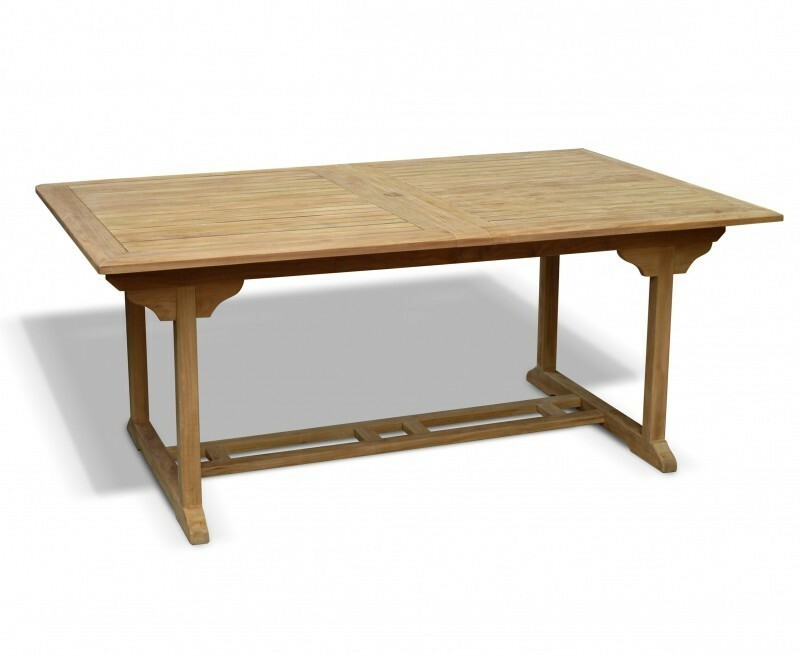 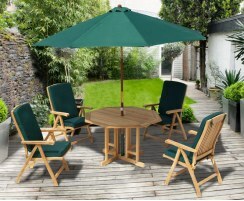 The unique double-leaf butterfly mechanism allows you to easily extend the table without moving a parasol, and the table is supplied with a flush-fitting teak insert for when a parasol isn’t in use. 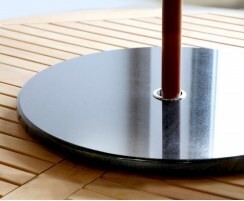 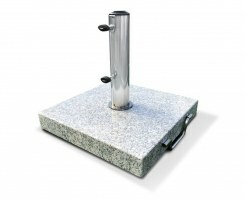 Radial slats let rainwater drain away so the table dries off quickly. 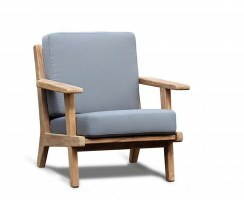 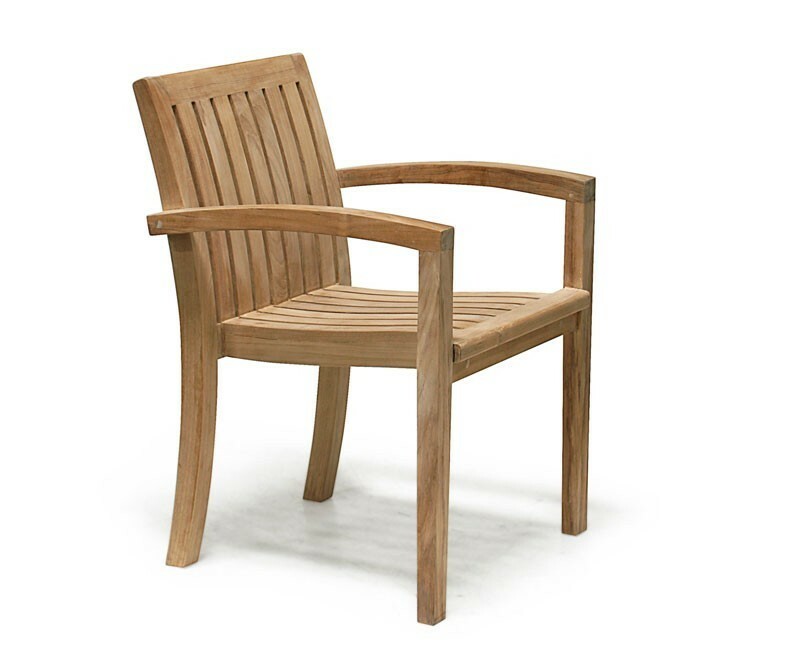 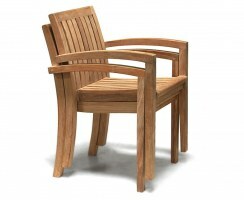 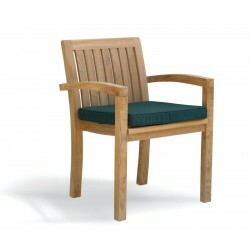 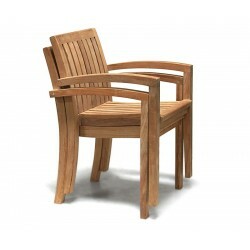 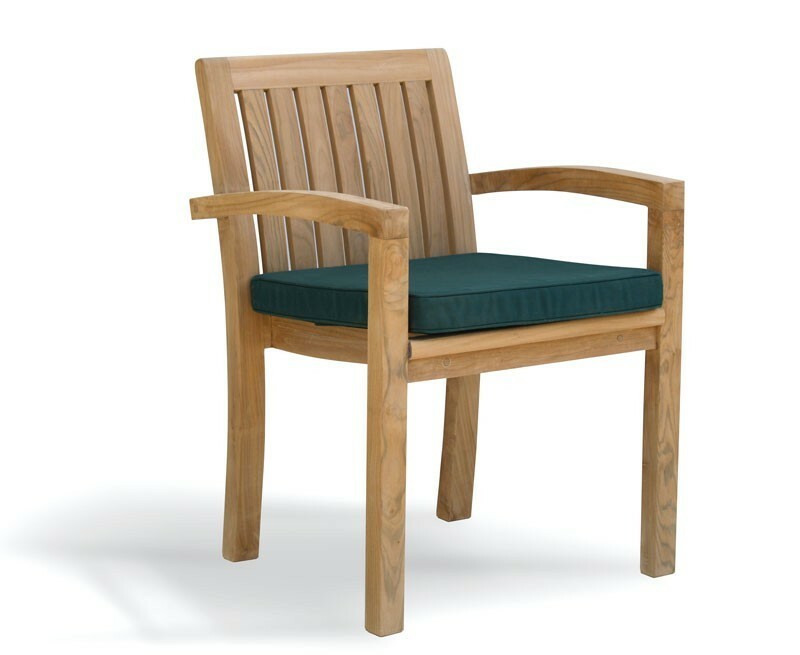 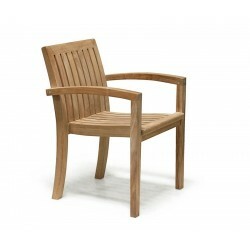 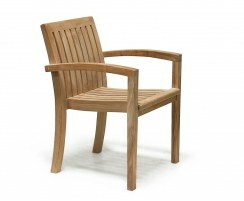 Our stylish Monaco chairs can be stacked for convenient storage, freeing up space in your garden. 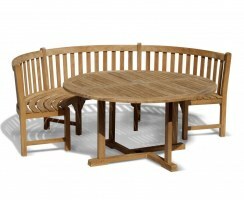 Wonderfully practical, no compromise has been made regarding comfort, so you can enjoy this dining set for endless hours of al fresco fun. 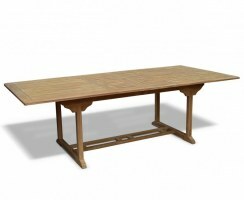 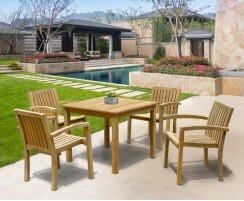 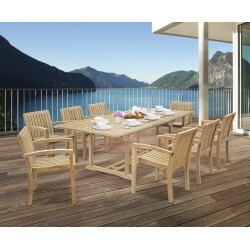 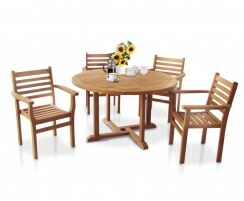 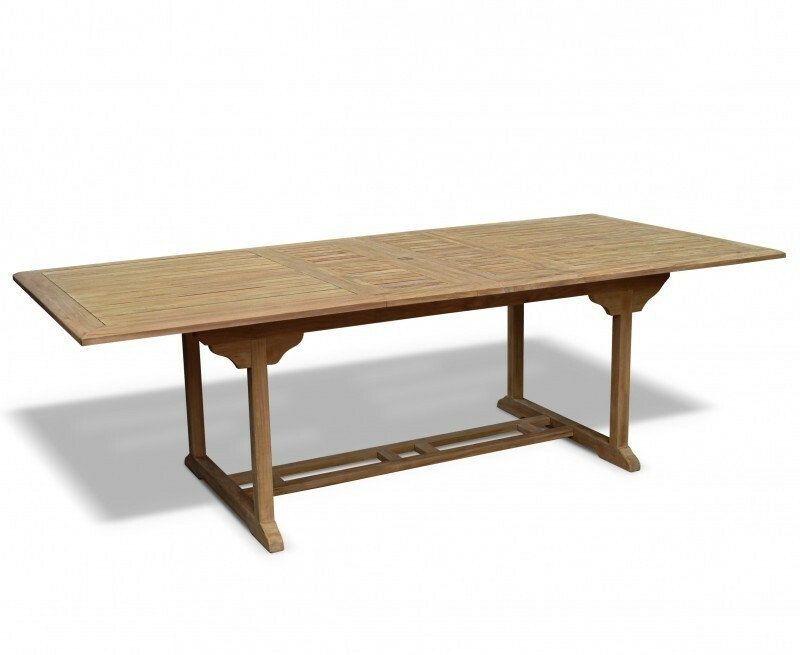 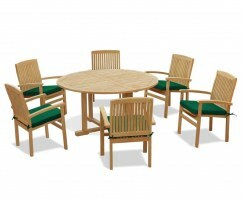 We will deliver this garden dining set to you fully assembled for you to enjoy right away. 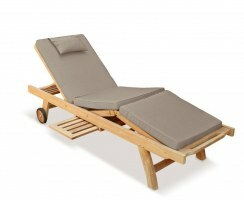 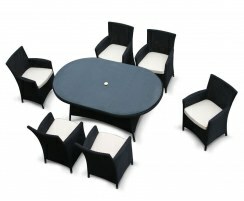 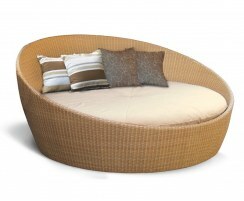 Why not accessorise this patio set with cushions and a parasol and base (not included, available separately).